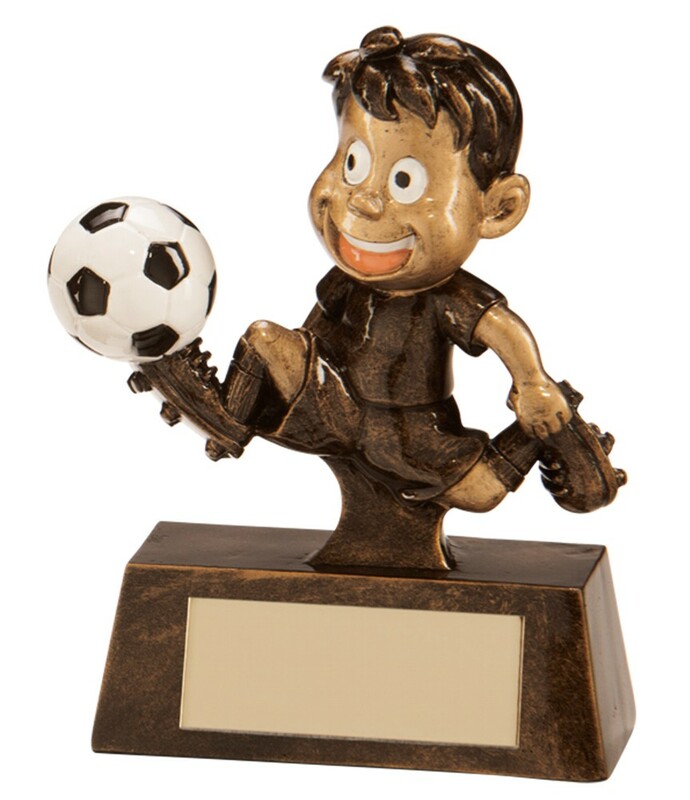 Resin Little Champion Football Player Awards. Available in 3 sizes, 85mm, 100mm and 115mm high. Antique gold with gold detail and a black & white football. A superb detailed football trophy.